Someone Died … Now What? 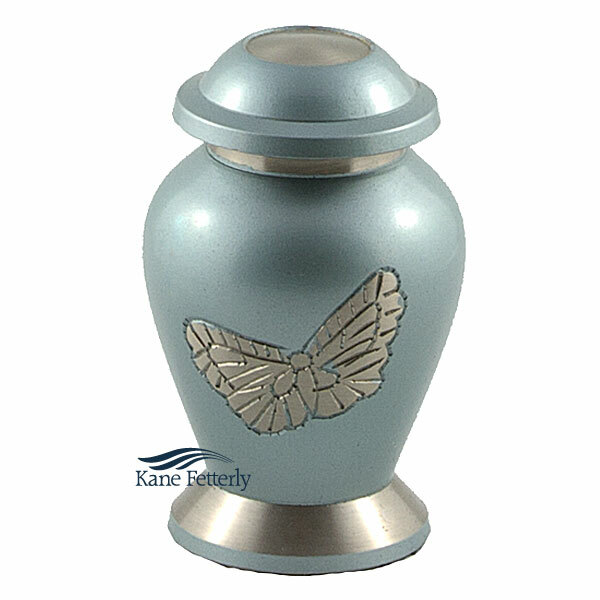 Pale blue brass miniature urn with silver butterflies. Engraving available to personalize the miniature urn. Also available as full-size urn. Alavida.ca is the special event division of Kane & Fetterly: custom life celebrations at the location of your choice. Affordable online cremation arrangements in three easy steps.